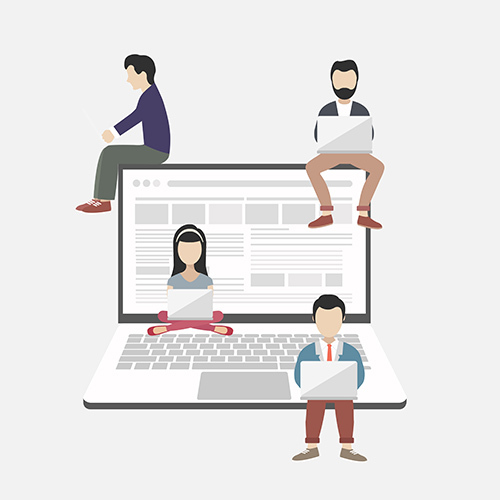 Imagine if you had a full-service web development team, ready to go at your fingertips. You wouldn’t have to go through the hassle of hiring a different professional to do each different task that your business needs to compete online. Instead of one full-time technology staff member that would cost you at least $60,000/year, leverage our team resources to quickly scale up and down your demands of work as you need it. Easily keep track of your web investment on the go and get the desired professional result you require over a period of time, allowing you to budget month to month, instead of one bill. Let Ben & Sam take the hassle out of managing your web presence so you can focus on what you do best: serving your clients and growing your business. Get a variety of work done using 1 of 4 time based packages instead. plan and package for your project or idea.